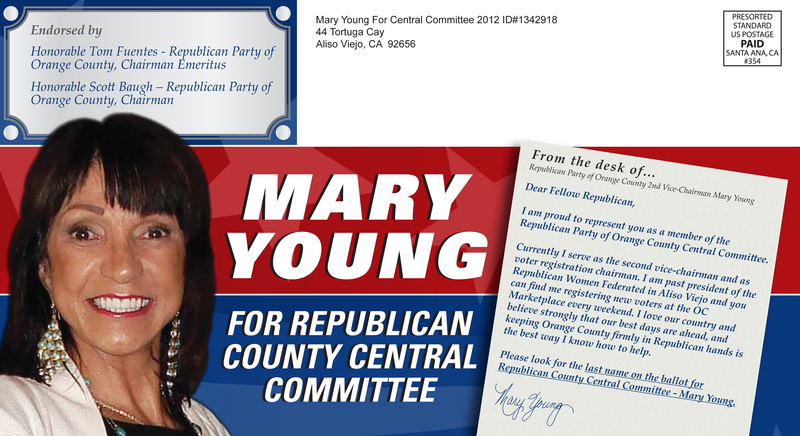 This entry was posted on May 14, 2012 at 2:52 PM	and is filed under Mail, Republican Central Committee. Tagged: Mary Young. You can follow any responses to this entry through the RSS 2.0 feed. You can leave a response, or trackback from your own site. 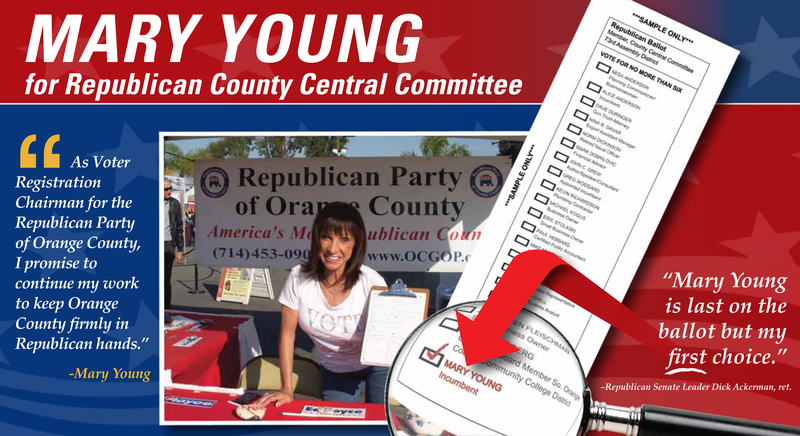 Mary Young is a wonderful lady and I don’t know anyone who works harder for the OC GOP than she does. Voters in AD 73 would be well represented on Central Committee to send her back for another term!